Follow along to the very latest Cowboys updates as the staff writers of David Helman, Rob Phillips, Nick Eatman and Bryan Broaddus provide in-depth news and analysis from their social media accounts, including Twitter and Instagram. I never would’ve guessed when I woke up this morning that the most interesting thing I’d hear today was Jaylon Smith talking about his HS job at Burger King. Cowboys are practicing outside again today, which is different. They typically go inside for Thursday/Friday practices. Dak Prescott’s first NFL game was a nearly flawless preseason performance in the LA Coliseum two years ago. The Rams have released their practice report. Todd Gurley is officially listed as limited, while Lamarcis Joyner was full. The injury report has grown since last week. Dak Prescott popped up with a knee injury, but he was a full participant in practice. Doesn’t sound like Xavier Su’a-Filo, Cole Beasley or Blake Jarwin is going to practice today, but Jason Garrett says all three are feeling better. Tyrone Crawford was asked today if he thought the Cowboys had the best defense remaining in the playoffs. Easy to forget with all that’s happened that Dak Prescott made his NFL debut against the Rams. He was auditioning for the Cowboys’ backup role after Kellen Moore broke his leg in training camp. Jason Garrett says he’s optimistic Xavier Su’a-Filo will be available for this game. He’s also optimistic about Blake Jarwin, who tweaked his ankle toward the end of Saturday’s game. Jason Garrett says Kris Richard had two coaching interviews today. Dak was only sacked once in this game, after taking five sacks in Seattle in September. The Cowboys also ran for 164, averaging 4.8 yards per pop. With this game out of the way, tomorrow's going to feature three head coaching interviews for Kris Richard. The Jets, Bucs and Dolphins are all in town to meet with him. I would 100% extend Zeke this offseason. Xavier Su’a-Filo officially considered doubtful for Saturday. It’s a good bet Connor Williams starts in his place. Tavon Austin is another name to watch. LG Xavier Su'a-Filo (ankle) is officially listed as doubtful for Saturday's playoff game vs. Seattle. DeMarcus Lawrence was asked about how Charles Haley helps the Cowboys’ pass rushers when he attends practice. That in turn led to the topic of how important it is to play with an edge. For the third day in a row, Xavier Su’a-Filo was not at practice. Jason Garrett also said this morning that he hasn’t been going through walkthrough this week. Jason Garrett doesn’t expect Xavier Su’a-Filo to practice today. That’d be his second missed practice this week. Jason Garrett says David Irving isn’t going to practice tomorrow, but he expects that every other member of his roster will do at least something. Amari Cooper isn’t buying the idea that you can fall out of rhythm by taking one week off. Anthony Brown, Tyrone Crawford, David Irving and Zack Martin did not participate in today’s practice. Jason Garrett specifically mentions Zack Martin, Tyrone Crawford and Anthony Brown as injury situations to monitor heading into this Week 17 game. another thing I didn’t think about: clinching the division solidifies the Cowboys’ opponents for 2019. Didn’t think about it until right now, but Todd Gurley sitting out this week likely locks up the NFL rushing crown for Ezekiel Elliott. This is what we mean when we talk about Zeke setting the tone. When asked for his reaction to this game, Jerry Jones started talking about Randy Gregory almost immediately. Jerry Jones describes his team’s climb from 3-5 to division champs. With that Titans win, Washington has been eliminated from the NFC East race. This could be a big opportunity for Darius Jackson, assuming the Cowboys handle their business. Zack Martin is trending in the right direction to play on Sunday. The Cowboys expect CB C.J. Goodwin to practice today. He signed with the team in October as a special teams ace and broke his forearm against Washington. Getting shut out dropped the Cowboys’ scoring average by almost two full points. The Dallas defense had only allowed 100+ rushing yards to four of 13 opponents heading into this game, and just one individual runner had cracked 100 on them (Seattle’s Chris Carson). This is cool. On his way into the tunnel, Zeke saw this little guy with a sign saying it was his first Cowboys game. In related news, Washington tops Jacksonville, 16-13, at the buzzer. That means that, no matter what happens tonight with the Eagles, the NFC East race goes on another week. 2. Cowboys lose, but Washington loses to Jacksonville and Philly loses to L.A., they clinch. Amari Cooper, since joining the Cowboys: 40 catches, 642 yards, 6 TDs, under contract for 19 more games. Speaking of which. For a guy who has never missed an NFL game to leave multiple games with a knee injury, it probably speaks to the kind of pain Zack Martin has been dealing with for the last couple months. Cowboys own the tiebreaker with Philly by virtue of a head-to-head sweep, and they own the tiebreaker with Wash. by virtue of division record. so they would have to lose out AND have one of those teams win out to miss the playoffs. I don’t think Tavon Austin, Sean Lee, David Irving or Geoff Swaim is going to play this weekend. The rest of the Cowboys’ injury concerns are trending in the right direction for Sunday. Check out our new Q&A with @BryanBroaddus on Alexa. Topics: Dak’s progress, the LB rotation, Rico, Tavon & more. Zeke Elliott said today that he was surprised by the NFL’s decision to fine him for his latest fun with The Salvation Army red kettle during the win against Washington. Jason Garrett says that Tyron Smith will be limited if he practices today. Cole Beasley is expected to practice. In holding the Saints to 10 points, the Dallas defense improved its scoring average to 18.6 points per game. Zeke’s current touch count during this four-game win streak: 115. 91 carries and 24 receptions, an average of 29 touches per game. Tyron Smith is one of 4 Cowboys questionable vs. the Saints, along with Zack Martin, Maliek Collins and Xavier Su'a-Filo. They practiced on a limited basis this week; Smith did not. Cowboys’ final practice report of the week is out. Swaim, Sean Lee, David Irving & Tavon Austin have been ruled out. 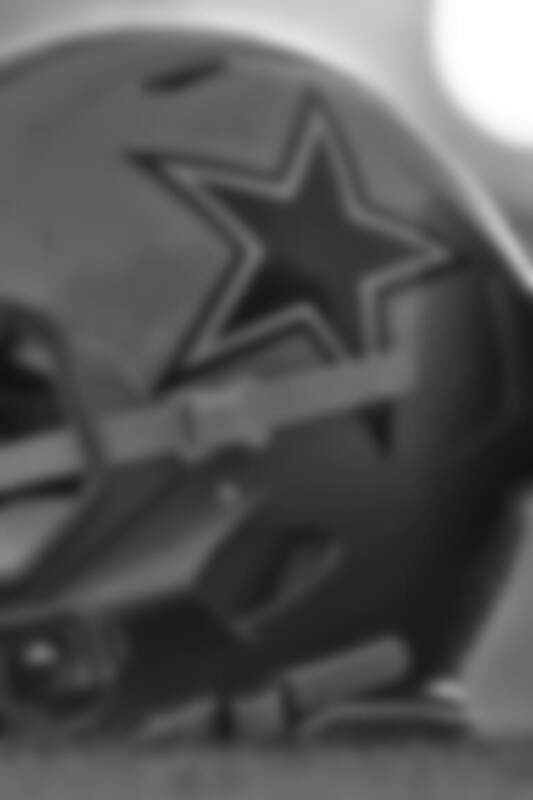 New Cowboys Q&A with @BryanBroaddus is live on Alexa! Topics: Kris Richard’s impact, the NFC East race, and keys vs. the Saints. Tyron Smith, Tavon Austin, Sean Lee, David Irving & Geoff Swaim all missed practice today. Dak Prescott was asked today if he tried to pick Drew Brees’ brain when the two were at the Pro Bowl together in 2016. No Tyron Smith — on a Monday that’s really a Thursday — is a bit concerning for the Cowboys. It’s a depleted offensive line at Sunday’s practice. Zack Martin & Xavier Su’a-Filo both missed, while Tyron Smith is rehabbing his shoulder injury.